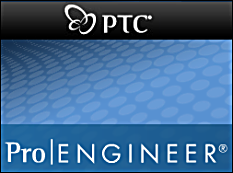 PTC (the Developer of Pro/ENGINEER software) is offering a free seat of Pro/ENGINEER Wildfire Schools Edition to all the students of those colleges and Universities that have acquired the PTC University Plus program. The intent of this free offer is to ensure that all the eligible students are able to make efficient use of Pro/ENGINEER Wildfire software. The license itself is free but registration is required (this used to cost $129). Included in the package is the perpetual Pro/ENGINEER Wildfire License and associated training materials. You can request the software and training materials by filling out the request form here.